Potato is the only vegetable which is cooked and loved by everyone in the world. We Indians use and make many versions of potato curry, every state has its own special style of making them. 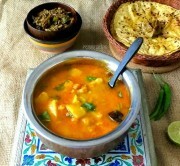 Today I am posting the most famous potato curry from my home town MATHURA! Though I have posted few potato curries in my blog, but don’t know how I forgot to post the famous and special –Mathura ke dubki wale aloo. 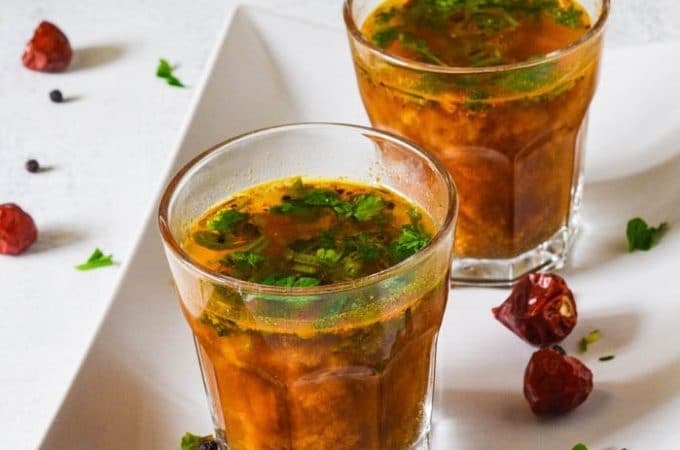 This spicy and watery dish is more broth than curry, and is the specialty of my hometown Mathura. Khasta kachoris served with this aloo curry and hot jalebis are the favourite breakfast of the people of Mathura, every morning you will find sweet and snack shops, street hawkers, stalls selling this aloo subzi with khasta kachoris and people queuing outside the shop for their chance. If you visit Mathura then do taste the best khasta kachori with dubki waley aloo ki sabzi at the Oma Halwai shop which is in front of Brijwasi shop at Holi Gate. What is the difference between regular aloo subzi and Mathura ke dubki waale aloo? 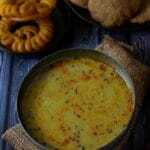 I have seen numerous recipes of Mathura ke dubki wale aloo on the net, which are yellow and thick curries with loads of potato and tomatoes added. This is incorrect – In Mathura ke dubki wale aloo, no tomatoes are used. 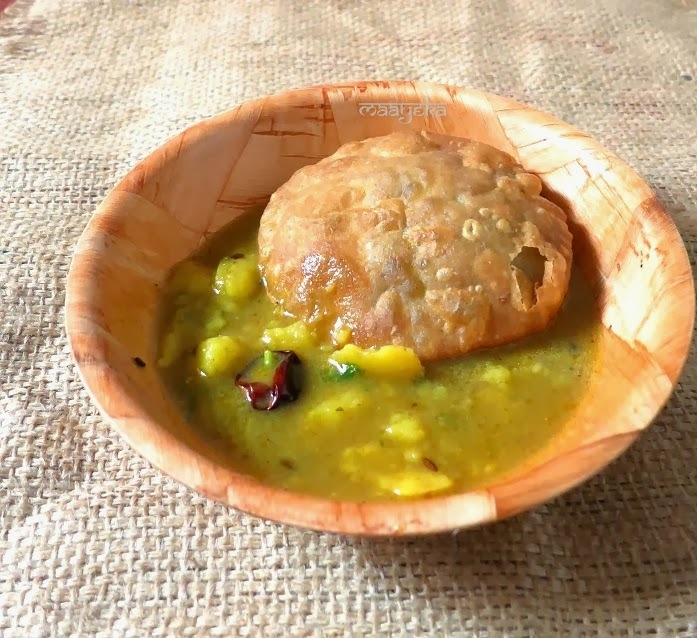 The dish was originated as an easy to make, inexpensive accompaniment to kachoris, and therefore no street hawker would use expensive ingredients such as tomatoes to make it (especially given the fact that people ask for extra subzi all the time!). Mathura ke dubki waale aloo are watery, with a dark green (almost black) colour. The dark color is because of the iron kadhai it is cooked in (where it is boiled for 2-3 hours so that the potatoes get done and the spices settle in well). The longer it simmers, the darker and tastier it gets. 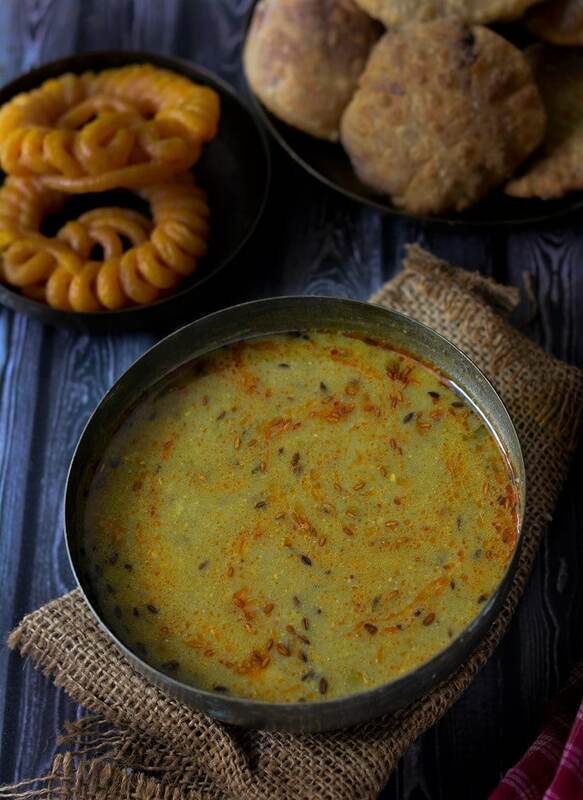 The dish is now so ubiquitous in Mathura, that it is a permanent feature in menus of all weddings that happen in Mathura. The menu is incomplete without this potato subzi, and the addition of so many fresh herbs and spices makes it good for the digestion too. 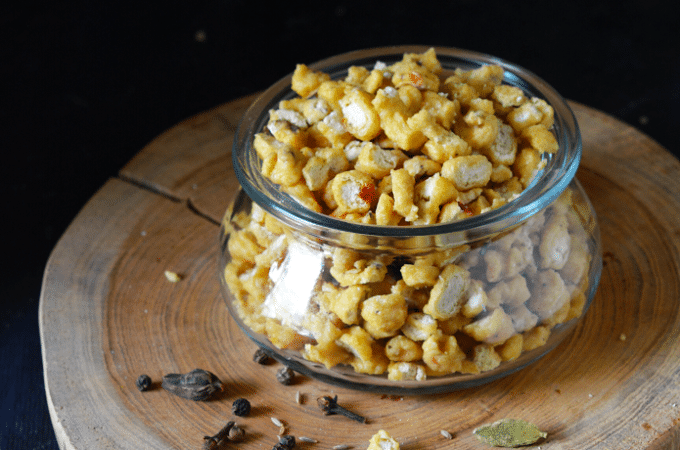 In weddings, it typically simmered from the evening till late in the night.The authentic dubki waley aloo you get in the weddings and functions only,the street hawkers and kachori walas are now selling a slight thicker version of this sabzi though the taste remains the same. This subzi is very different from the Railway stations wali curry served with hot Poori’s as station wali aloo ki sabzi. I’ll be posting the recipe of that very soon. 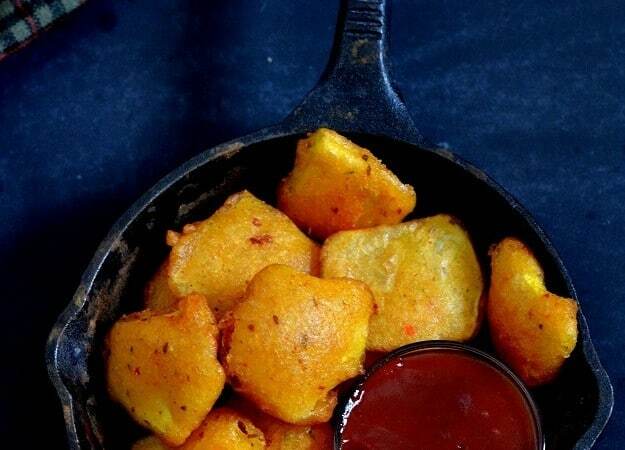 Dubki waley aloo are made with out adding any tomatoes. 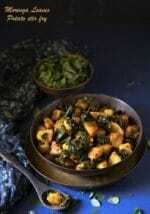 It is cooked in an Iron kadhai. It is a thin curry with less aloo and more watery curry. Lots of whole garam masala is ground freshly and added in the curry. 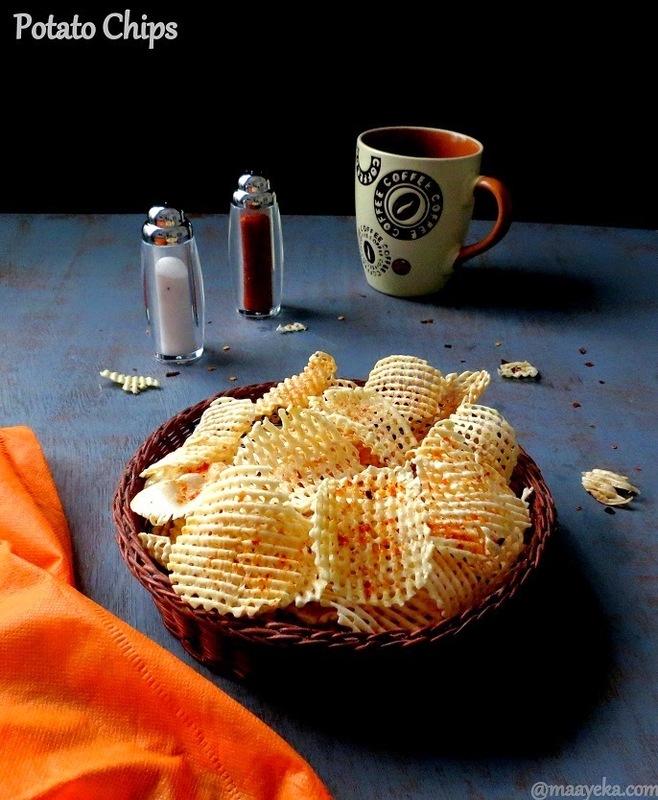 Simmered for quite long to absorb the flavours. Why is the dish named “Dubki Waley Aloo”? 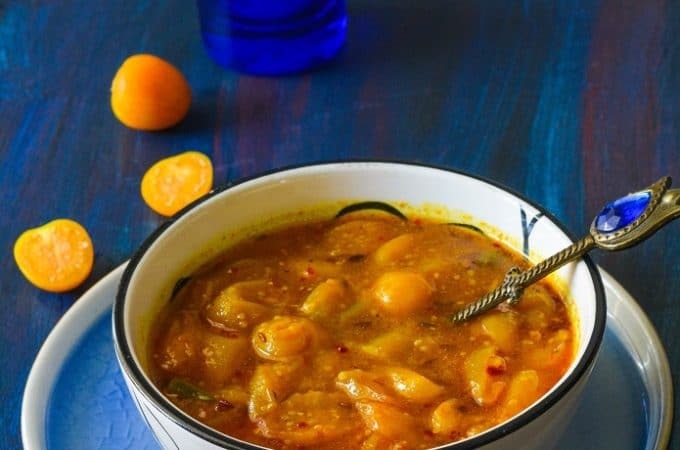 Traditionally this curry is made quite thin and watery and it is said you need to dive and swim (“dubki maarna” in hindi) around in the curry to be able to find a single potato . Hence the name “Dubki Waaley Aloo”. How to make Dubki wale Aloo? 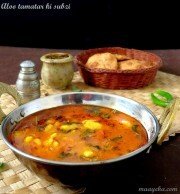 The method of making this dubki wale aloo is very simple yet different then the regular aloo ki sabzi. Normally we first temper the curry, saute the spices and then add the vegetables but as this dish was invented by street hawkers who have to start early in the morning and do not have time for such ceremony – in this dish, boiled and mashed potatoes, all spices ,herbs and water are mixed together in one go to make a thin watery curry and then it is left to simmer in an iron kadhai (while the hawker then focuses on making the main dish – kachoris , which take a long time). The main spice in this dish is fresh garam masala, don’t use the ready made powdered garam masala if you want to get the taste of authentic mathura ke dubki wale aloo. The curry is thin and spicy so no compromise on that :). 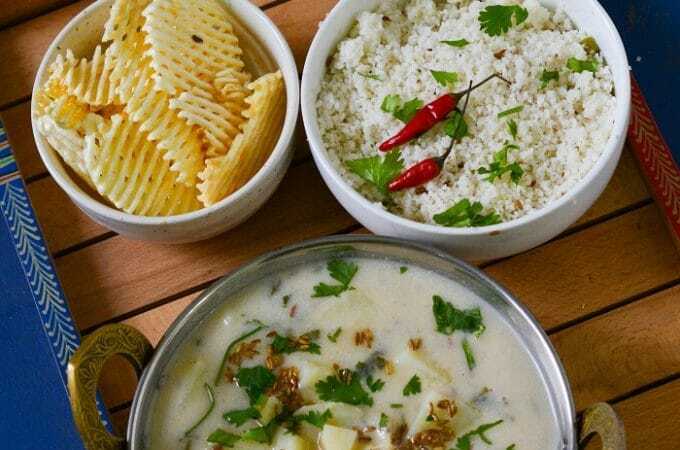 This sabzi is usually served with Bedmi Poori or Urad daal ki khasta kachori and the accompaniments served with are the delicious Khatta Metha Kaddu and Boondi ka Raita. Peel boiled potatoes and mash them roughly. Add all the whole spices (listed in- to grind) in a small mixer jar and grind to make a fine powder,then add green chilies ,ginger and spinach and grind all together. Now add this paste in the potatoes,add water and all the spices in it. Mix well and cook on medium heat till it start boiling. Add refined flour in 1/2 cup of water and mix well. Add this refined flour mixture in the boiling curry and stir and mix well. Heat oil in a small cooking pan and add cumin seeds when cumin start crackling add whole red chilies and asafoetida. 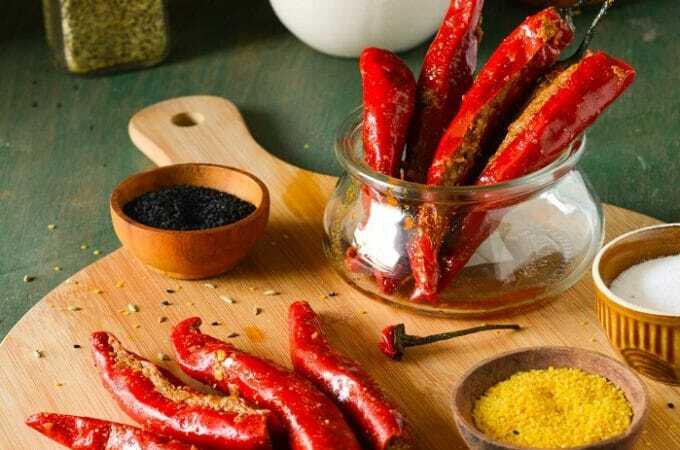 Remove the pan from fire,wait for few seconds then add kashmiri chili powder and pour this tempering on the boiling curry. Switch off the flame,add chopped coriander and cover the pan. Rest for 15 minutes and then serve. 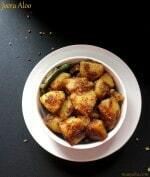 Traditionally this aloo ki subzi is made in a iron kadhai/pan, however I have made it in a steel pan,but for that authentic dark colour try to make it in a iron kadhai. 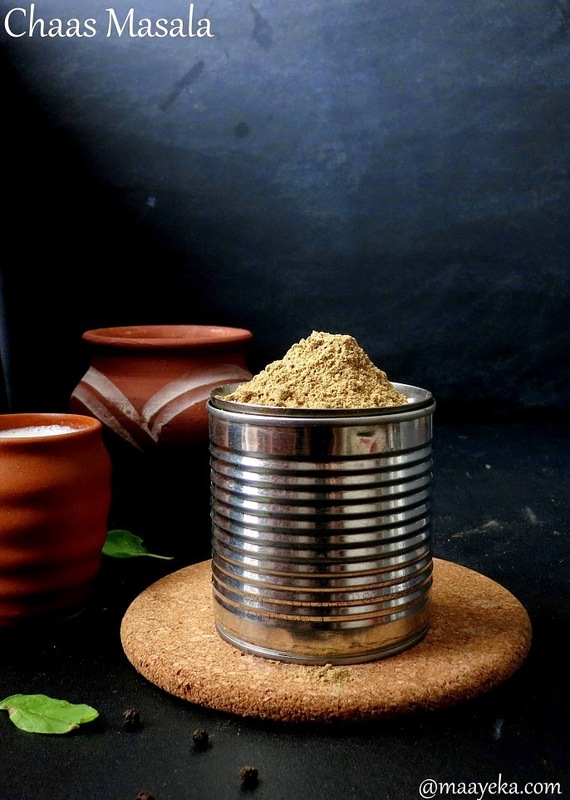 You can add ready made garam masala but freshly ground garam masala makes a lot of difference in the taste. Instead of spinach you can use bathua. 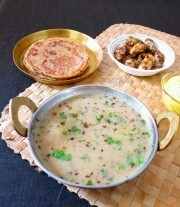 Refined flour/maida is added to add some texture to the gravy,a tip shared by a chef of Mathura,but this is optional if you like thin watery gravy then can skip this. If we are adding raw potatoes in water, as it will boiled abt 30 min. Is there need for boiled potatoes?? I tried it yesterday and it turned out just as shown in the picture… My husband loved it… Thanks a bunch for sharing this awesome recipe. I have missed this "Station waali aaloo ki sabzi & poori". Everytime I come to India, I hog on this at every railway station my train stops. Now, I hope I can cook this at home and bring the taste of India into my kitchen. This looks so delicious! Will try it for breakfast soon. I usually mash a little of the aloo and simmer it for a long time for the consistency. Will try the maida addition sometime. I have been a silent browser to your blog for sometime now. I have tried few recipes and they all came out good. 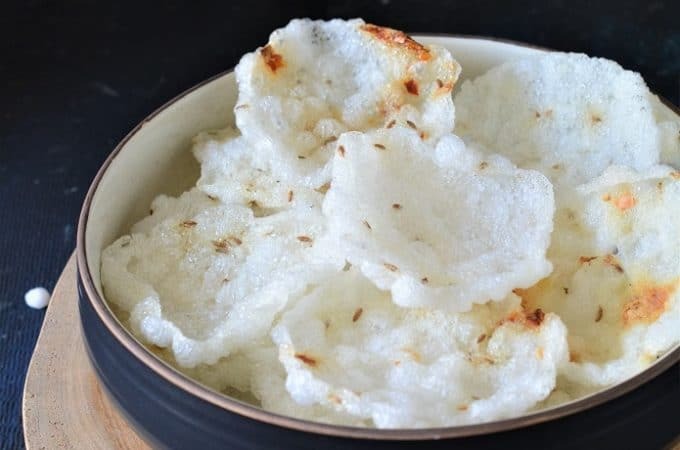 Today's post really prompted me to write a thank you note as my son, six years old, loves aloo with gravy and I have been looking for something like to make for a long time. I am going to try it today for dinner and see what reaction I get. thanks for all the wonderful recipes that you share. 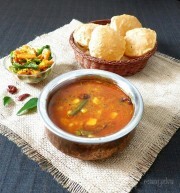 I should definitely try this, looks so delicious with the kachori..